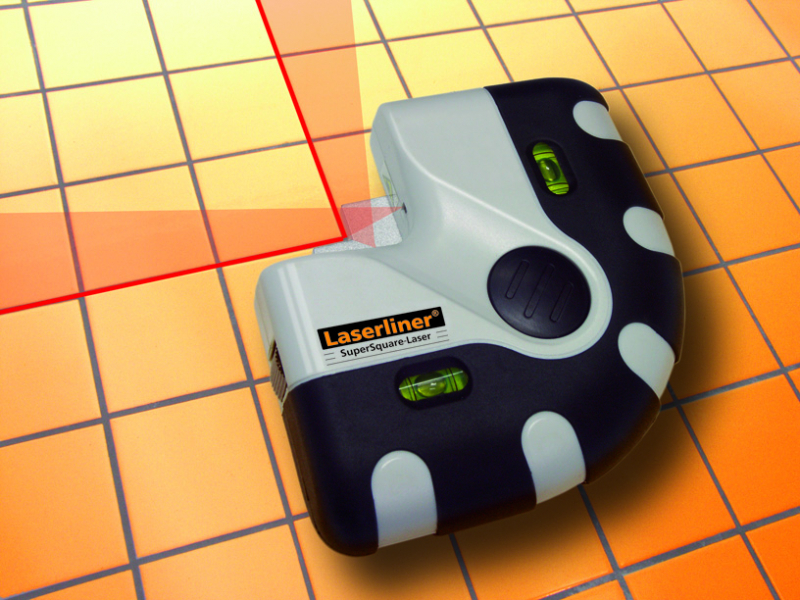 The 2 highly visible laser lines are ideally suited to floor alignment. Illuminated vials for vertical levelling on walls. With robust 90° metal lay edge for easy alignment of first floor tile.